No cold feet here! 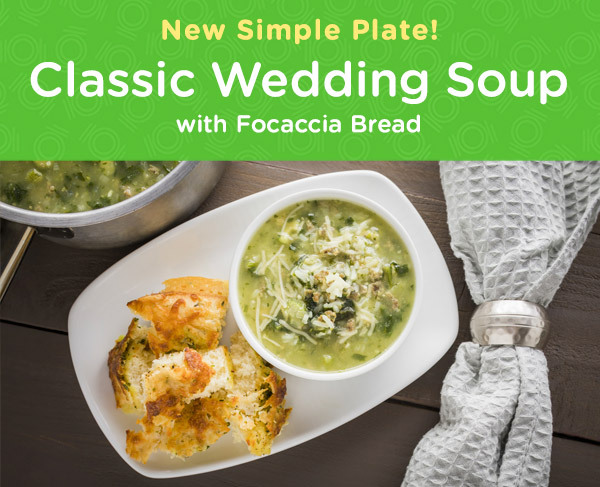 Dip your homemade focaccia bread into a sizzling medley of tantalizing veggies, sweet basil, and peppery sausage for a soup that perfectly blends an array of ingredients. A staple in Italian restaurants, each sip is one to remember. We’ve defrosted, browned, and ground your sausage for you! Give your bread some time to rise, then make your soup in minutes!